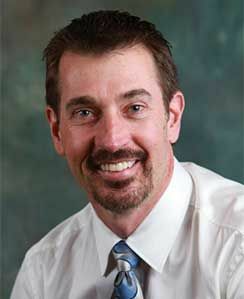 Dr. Holton was born and raised in Montana and attended college at Montana State University and then went on to Dental School at Oregon Health Science University in Portland. After dental school, Dr. Holton moved to southern Oregon and built a large family and cosmetic practice in Medford for the past 26 years; his passion is creating beautiful smiles and healthy mouths. His practice became his second family and his team and patients were with him for many years! At Montana State, Dr. Holton met his beautiful wife Karen in Medford where they raised two wonderful girls. Their girls found a love for the sun and are now attending the School of Nursing together at Arizona State University in Tempe. For the past five years, Dr. Holton and his wife have frequently traveled to their condo in Arizona to spend time with their girls and recently made what they refer to as a difficult decision to move where their hearts now belong. They have become permanent Arizona residents and they could not be happier with their decision! Dr. Holton is happy to have found the opportunity at Advanced Dental Health because the feel of the office and team reminds him of the office that he had in Medford. When not in the office, Dr. Holton enjoys hiking, snow and water skiing, golf and spending time with his family.